“The word and image are one. ” – Hugo Ball, 1915. 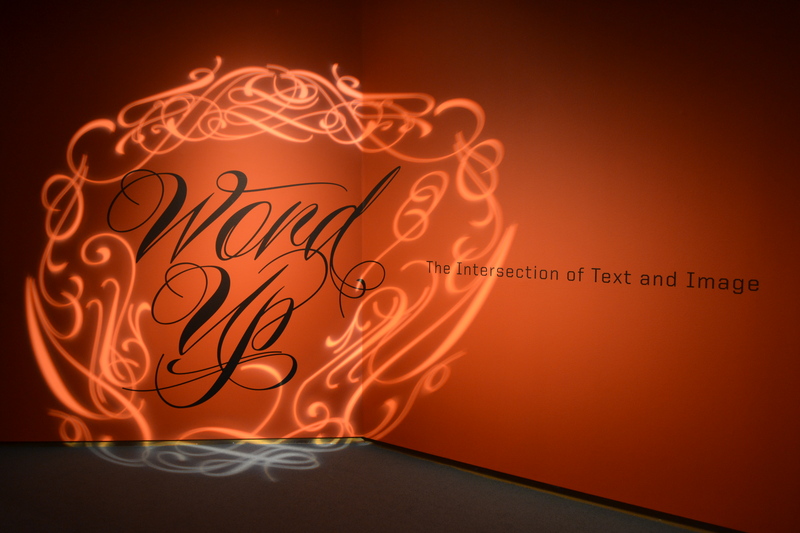 Word Up: The Intersection of Text and Image, a current exhibition at the North Carolina Museum of Art, features the work of six North Carolina artists who are inspired by the way text and images interact with one another to create meaning. Mathew Curran, Lincoln Penn Hancock, Nathaniel Lancaster, Shaun Richards, Gabriel Shaffer, and Derek Toomes each work in a uniquely different way to explore the synergy between the two forms of expression. A collection of paintings and drawings from the locals on the subject of text and image finds a dwelling place in the North Carolina Gallery until mid- January. In an age when almost everything is digital, technology is rampant, and humans are greeted by a constant onslaught of media in their everyday lives, text and image have forged a symbiotic relationship. Most images with which we come into contact are accompanied by words. We have been conditioned to expect it, often finding it difficult to interpret certain images without the aid of words. Word Up explores the relationship between text and image and rocks traditional notions of the role of each. 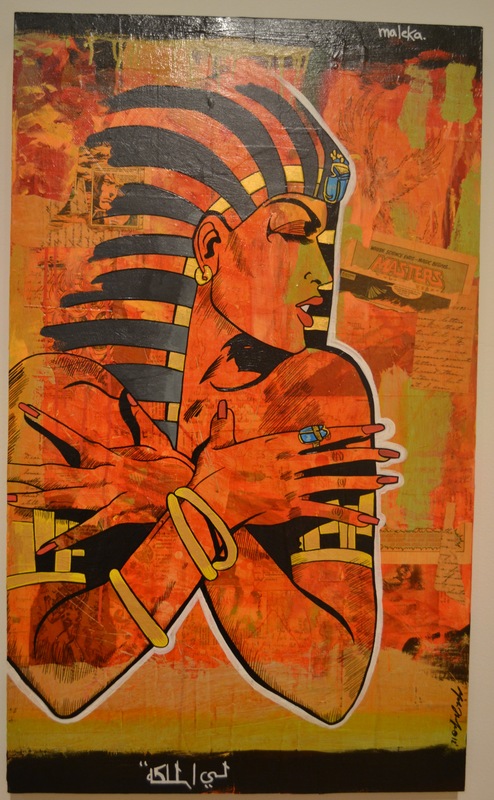 The exhibition features artists taking a unique approach to creating their work, many with a distinct pop art feel. Much of the text used is commercial or political and is imposed upon or buried beneath images, colors and abstractions. The pieces are thought-provoking as well as visually exciting. 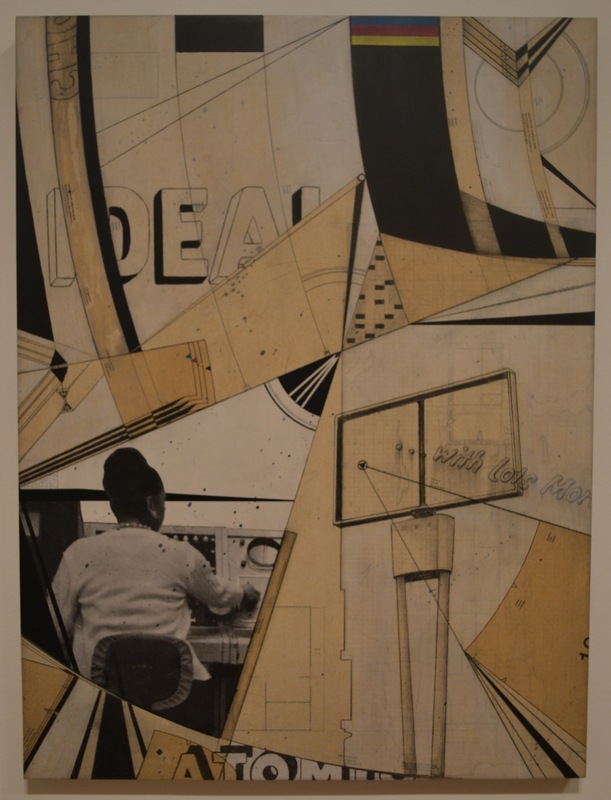 Derek Toomes incorporates sewing patterns and building designs into his work, using them as a background for text that alludes to commercialism and consumerism. Gabriel Shaffer makes use of discarded materials, to salvage the found words and create art from them. Within his pieces, literary snippets by William Butler Yeats appear alongside cartoon drawings, blurring the line between classic poetry and pop culture imagery. Mathew Curran, who is inspired by urban street art such as stencil and graffiti tags, uses images from vintage magazine covers and spray paint to alter mass-produced, recognizable images. 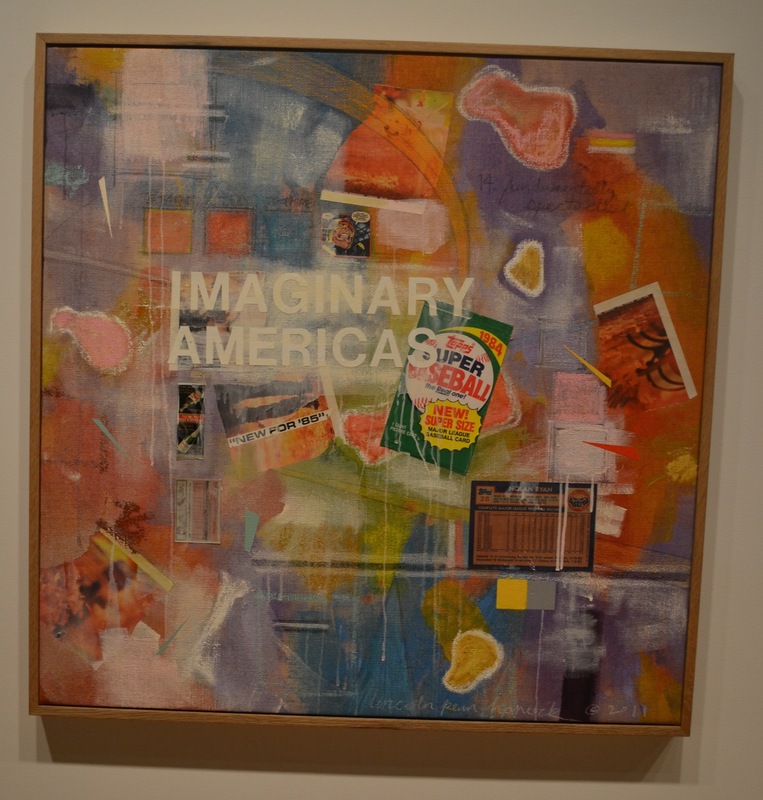 A personal favorite was the work of Lincoln Hancock, whose vibrant assemblages employ advertisements, text from commercial products, magazines, comic strips, old baseball cards, and various stenciled and penciled phrases, layered upon vibrant backgrounds to express the barrage of information we are confronted by everyday. Check out Hancock’s exhibition Everything That Wants to Say Yes currently displayed in the lobby of Artspace, as well. 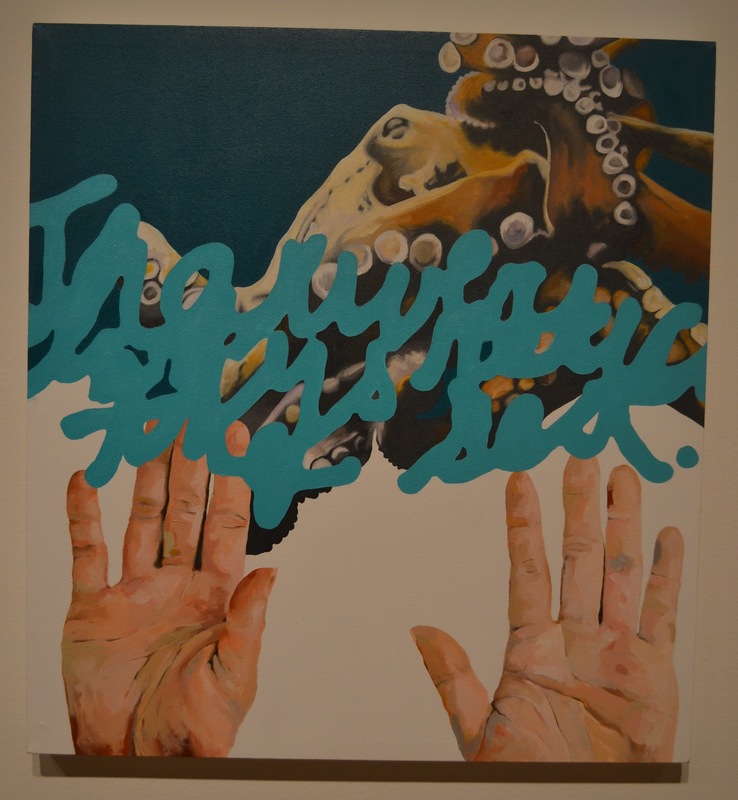 Word Up: The Intersection of Text and Image will be on view at NCMA until January 20, 2013. Written by Creative Genius, Katie.